← Determination, The real thing! He still calls people to come to Him, walking on the water. I think a lot about the recorded event, where Jesus called Peter to come to Him walking on the water. Well of course, we who now know the story, have the onlooker’s sight advantage. 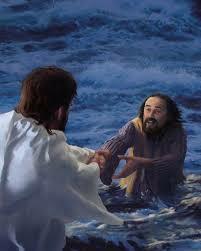 We as observer’s seeing the whole account, know that Peter actually could have walked on water if he believed Jesus. Furthermore, we have the hindsight of knowing that even if he fell, Jesus would catch him. You would think that this would take all the fear out of the prospect. But it doesn’t, not when it is our storm, and our turn, to come to Jesus walking on the water. …… Can’t I just let Peter’s lessons … do for me, Lord? No, Peter’s lesson just won’t do. Jesus still wants each one of us to walk to come to Him through the stormy path of uncertainty. He wants each of us to have faith to take steps on waves that are tossed and unsettling, when we are sure that they are in His service and lead us to Him. 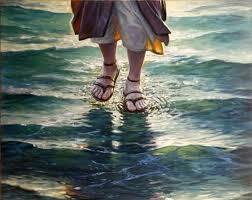 So like the story of so long ago, Jesus often asks us still today, to come to him walking on the water. He asks us to leave the boat of our convenience and comfort and get out on the rough seas. He compels us to DO the daring thing that we would only do because we love Him. He calls us to believe that we can BE the person that we can only be with His miracle power. Now do not go looking for the next pond to try this out! You better not be so foolish as to step out on the water on your own!!!! It is only His call that makes such a normal impossibility, the right thing to do. But if Jesus is calling you, there is no other path to the center of His will, besides coming to Him walking on the water. It will be frightening some, and you will sink beneath the waves some, and you will have to have a hand from Jesus to make it through the tempest. But if He if He is calling you – the only path to get closer to Him is to obey and come to Him. 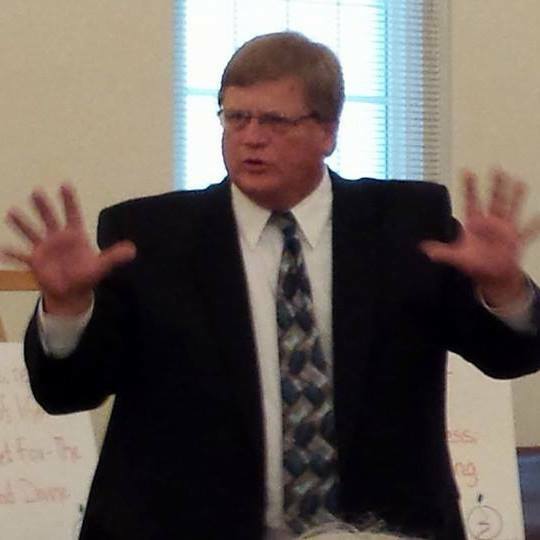 You can do the miraculous thing that you never dreamed possible if the Lord is calling you!!!! He still calls men and women today to come to Him —— walking on the water. Our feelings when facing such stormy uncertainty must be a little like Peter’s feelings, when he heard Jesus call him, to come to Him walking on the water…. There was this anxious anticipation that he could do it, because Jesus said so. But at the same time, there was the nervous anxiety that it was something he had never done before and fear of the chances for failure was just an honest reality. Faith always grows in us, in this kind of fear facing fashion. Healthy new ventures seem to us like Peter’s storm. We have A combination of healthy optimism and honest fear, all at the same time. Still, we must dare venture out on the water to find and face the new lessons that God would have for us. Knowing the story like we do; we can certainly have the assurance; Even if we fall, Jesus will be there to pick us up! Peter didn’t have the story of how God can help people do what they can not otherwise do without Him. We do. Let’s let it fill our hearts with faith and not miss the times in our life, that God still calls us to come to Him, walking on the water. This entry was posted in Bible Related, Face Page, Faith & Inspiration and tagged faith, God's Help, guidance, Jesus, personal growth, Peter, The Will of God, walking on the water. Bookmark the permalink. 3 Responses to He still calls people to come to Him, walking on the water.